"Beautiful October sunshine, a perfect week"
We have had a truly wonderful week celebrating special birthdays with our family, complete with beautiful October sunshine – an absolutely perfect week. You have a beautiful home in Provence, and we have enjoyed playing tennis (very competitively!!!). The pool was a little chilly … however we have shared a perfect holiday and hope to return one day. Thank you for the most lovely stay. We have had such a joyous time here at Mas des Vignes Folles. We will definitely be returning. What a wonderful site and house. We had an absolute fantastic time in and around Les Vignes Folles. Sally-Ann was very welcoming and Florence was very friendly and helpful. We would have liked to stay a lot longer but unfortunately our holidays came to an end. This is a place we would definitely come back to. Thank you very much for a wonderful time. Thank you for another lovely two weeks in Les Vignes Folles. Between the gorgeous weather, company and the kindness and care of Florence and Sally-Anne, we had the vacation of dreams. The most beautiful house, pool and views. As Jane Austen says, “life is a quick succession of busy nothings” and what better way to spend busy nothings than in this most beautiful place. The only lesson learned – 2 books is not enough, bring 4! We travel extensively, renting properties in select locations. We look online at hundreds of possible rentals in that location on multiple sites. Our aim is to find THE place that will please. 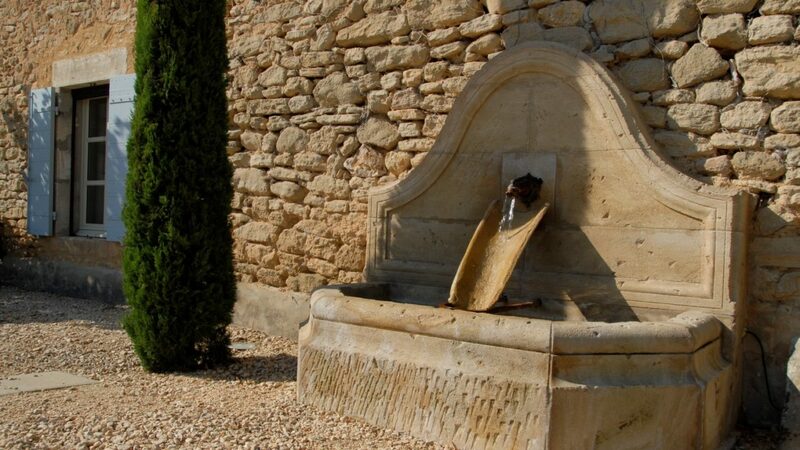 For this trip, we narrowed our list of possibilities in the Luberon/Provence. We studied descriptions, details in every photo, and reviewers’ comments. 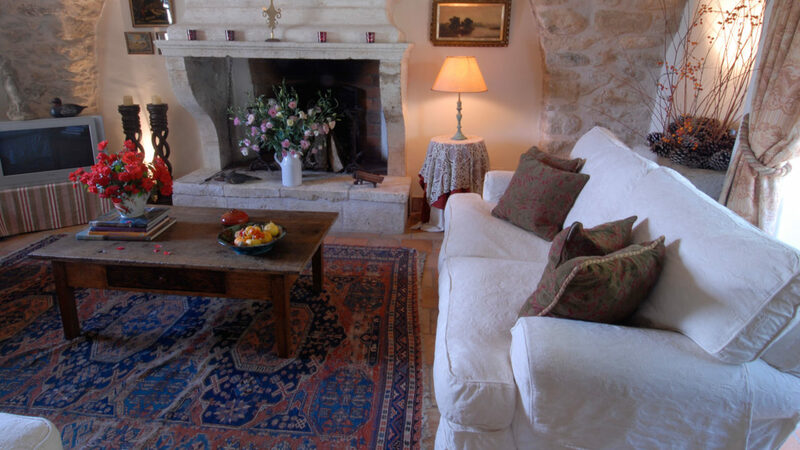 We chose Mas des Vignes Folles for its special location in the Luberon/Provence and because every photo showed attractive architecture, lovely rooms, tasteful furnishings, well-kept gardens, extensive stonework, choices of outdoor gathering places, etc. The positive reviews of the owner and house manager were important too. We were pleased (and relieved) to see it was even better than we had expected. For instance, the vineyard (which looks like a very narrow of vineyard in the online photo) is a good-sized vineyard with a 180 degree panorama of mountains beyond it – and each evening the light turns golden and you can play boule or sit by the outside area with a glass of wine, facing the vineyard and watching the sunset over the mountains. It’s surrounded by acres of cherry orchards. It’s quiet and private. No traffic sounds. No neighbor sounds. An occasional sound of farm vehicles in the orchards. A dog barking one night. Otherwise, lovely quiet and tranquiity. The welcome basket has lovely gifts. Sally Ann, the house manager, is cheerful and helpful. The house is clean, the rooms well proportioned, the kitchen well equipped. We had one concern when we rented it – no air conditioning. We always rent properties with A/C but made an exception and took a chance. We were concerned that it would be uncomfortable in June. To our relief, it stayed cool and completely comfortable for our entire week’s stay – with mosquito screens on the bedroom windows and the most delightful fairly-strong breezes and cross ventilation. In other words, the listing was accurate – and it was cool and comfortable at all times. What else did we appreciate? Its location! So many wonderful towns are an easy drive from Mas des Vignes Folles. There are so many cobble-stoned streets, cafes and restaurants, vistas, lavender fields, Roman ruins, bakeries, outdoor markets, churches, vineyards, and picnic spots in every direction. We rarely go back to the same place and the same property. Would we return to Mas des Vignes Folles? Yes. Another wonderful week at Mas des Vignes Folles – enjoyed family time, relaxed, created wonderful memories! Sally-Ann terrific. Marie wonderful. "We were enchanted by the experience"
We are so sad to be leaving Mas des Vignes Folles after another wonderful month staying in this magnificent property. Our second time here and we love it more and more. Some of our family joined us and without exception they were enchanted by the experience of staying here. 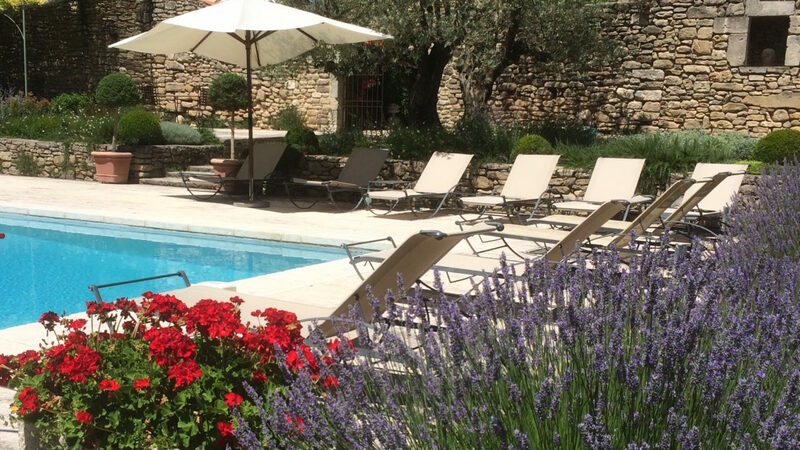 Living in the vineyards, lazing around the beautiful pool area, petanque in the evenings, and just being in this peaceful setting made for a perfect holiday. We hope to return to the Luberon soon and hope to stay once again in this amazing home. Thank you so much for the experience. We had a wonderful time! The house and the grounds are beautiful. Thank you to Sally-Ann for a very warm welcome. And for being so helpful. We had a wonderful meal upon our arrival. All felt “at home” – enjoyed our time with our family, played board games with children – not “online/video” games. We plan to return very soon. Thank you. "Great pool and tennis court"
A lovely stay in a comfortable house. Great pool and tennis court. A lovely area with great places to visit. Very nice markets. La Petite Ecole, Gargas, a great restaurant to eat at. Booking essential. Thank you. "Staying here has been a dream"
Thank you again for another wonderful stay at the most magical Mas des Vignes Folles. This is our third time here at the house and it continues to be the most perfect place to stay. From the weather, to the pool and gardens, to the gorgeous rooms, staying here has been a dream. Can’t wait to come back. 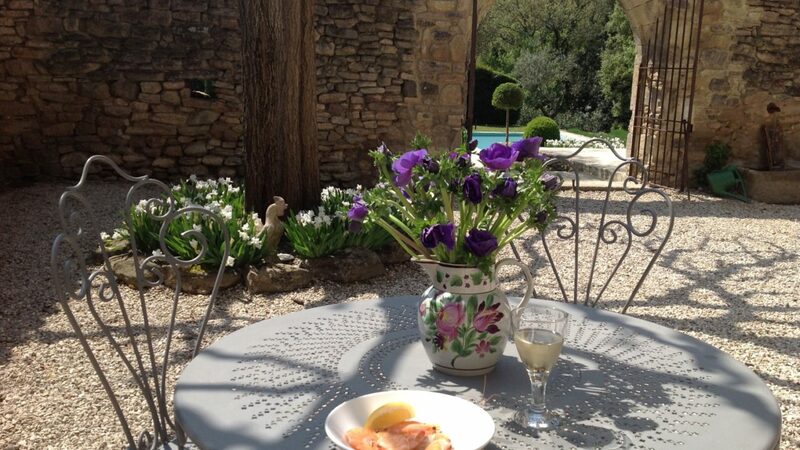 A really magical time, the house is perfect for taking it easy in Provence. We did not feel the need to venture far from home. We are very sad to leave and certainly hope to return soon. Having stayed at Mas des Vignes Folles for the 2nd time, this beautiful villa never fails to delight me. 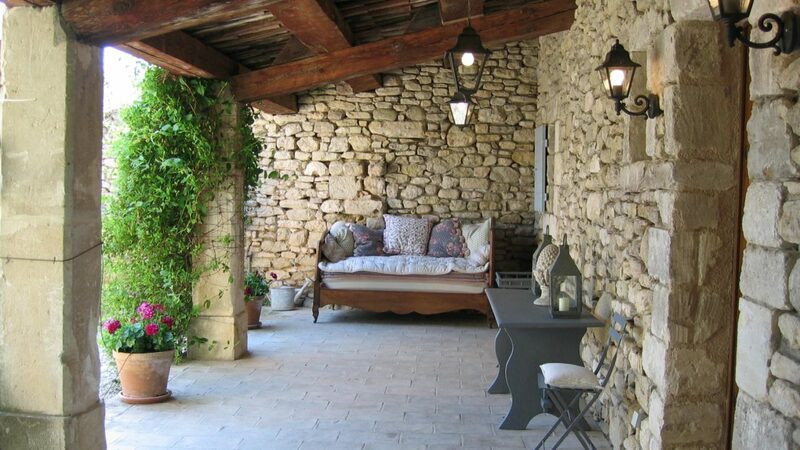 It is perfectly appointed in the heart of the Luberon valley, within a stone’s throw of pretty Bonnieux. The generous use of spaces throughout the home lends itself to the makings of an idyllic holiday and we certainly had that. This was our second time at the villa and we had a wonderful stay. We rented electric bikes and went to Lacoste, Gordes and Roussillon. The bikes were amazing to see all the sites. We loved playing soccer on the beautiful lawn. The pool was a little cold (it was April!) but it was nice to dip into it after the bike rides. Loved it again! It was wonderful – beautiful home to be based in and we’d love to return. The house is beautifully appointed and it had everything we needed. Thank you Sally, for being so friendly and helpful. The location is top drawer and the views are stunning. The garden and swimming pool (where we spent most of our time), were perfect as well as the tennis court where we enjoyed many competitions. All in all perfect! Love the house, garden, pool, neighbouring villages etc. Excellent e-bike ride to Oppede le Vieux. Loved Lourmarin market. Dropped into Chateau La Canorgue to buy some wine (after watching “A Good Year”). Fabulous, fabulous, fabulous stay with lots of friends and family. Mas des Vignes Folles – magnifique! Our time at the villa and throughout the Luberon Valley, has truly been wonderful. Beautiful country, people, food and wine. It’s been a trip of a lifetime with our best friends. Thank you for the most amazing stay here in Provence! We have been so pleased to enjoy your beautiful home. We enjoyed rosé and champagne by the pool and saw many birds and bats! Loved everything. This house made our stay in Provence so truly French. What a way to experience the countryside. Thank you so much for your hospitality. It has been truly a joy. Merci. What a wonderful week! Mas des Vignes Folles is a beautiful house and every last detail has been thought of …from the top of the range kitchen and BBQ equipment to the tastefully decorated bedrooms and thoughtful candles that turned our dinner into candlelight feasts. There is so much to do in the house, swimming, tennis, petanque, walks through the vines, relaxing by the pool or in the courtyard with a good book, not to mention the surrounding areas (the Sentiers des Ocres at Roussillon were spectacular, as were the markets in Isle sur la Sorgue and Lourmarin) vineyard tours, walking and cycling. We could spend 3 months here and still not do everything there is on offer! Sally-Ann, the property manager, has been great, meeting us on arrival, checking in mid-week to see how we were and giving us lots of great tips on things to do. We hope to return again soon to this wonderful part of the world and the luxuriousness of Mas des Vignes Folles. What a lovely house in a beautiful situation! It’s also very cool, even in the hottest weather. And one of the best pools we have ever had in Provence. Koo! The only thing missing is some seating on the other side of the house to enjoy the stunning view of Mt Ventoux (now remedied: owner). Everyone loved the house. Thank you so much. Thank you for a week we’ll never forget. The house was wonderful, and perfect for our needs. We’ve fallen in love with the area and hope to return. Thank you very much for the welcome basket. Sally was so gracious and welcoming and the house was clean and well-stocked and the pool and tennis/boule courts provided hours of family time. We couldn’t have asked for a better experience. Merci beaucoup. Wow ! we had such a lovely holiday at Mas des Vignes Folles. When we arrived the house was IMMACULATE every little detail thought of , all the lovely new swimming towels and everything so pristine. Your new lady manager was so helpful and sweet. The house is so attractive and has such style. I could go on forever but just to say you present a very top notch establishment. Our fifth time at this wonderful house which goes to show how very special it is. Sally-Anne, your Property Manager, has been highly efficient, warmly welcoming and helpful throughout. 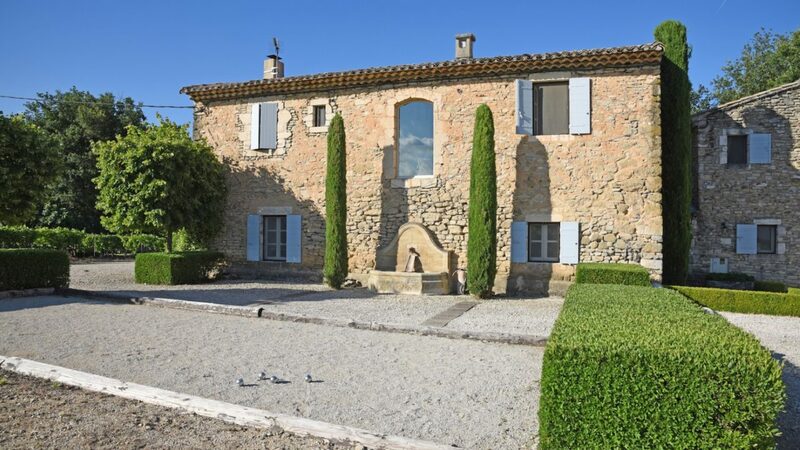 Mas des Vignes Folles is our perfect piece of paradise to return for our holiday. Thank you. We love Mas des Vignes Folles. We had a splendid week at the villa and wanted for nothing. The farmhouse has such panache: there are stone vaulted ceilings, beautiful furniture, classic French décor and spectacular views over the Luberon towards Mont Ventoux. All this and lovely gardens, impressive in their elegant simplicity. We relaxed with a good book or two under the shade of the wisteria and toasted in the sun by the pool. And when we needed exercise there was tennis, petanque and walking through the property’s own vineyard before a glass of wine from the nearby Chateau La Canorgue. We adored the weekly markets – in nearby Bonnieux and surrounding towns – with stalls groaning with fresh produce and chic clothes. 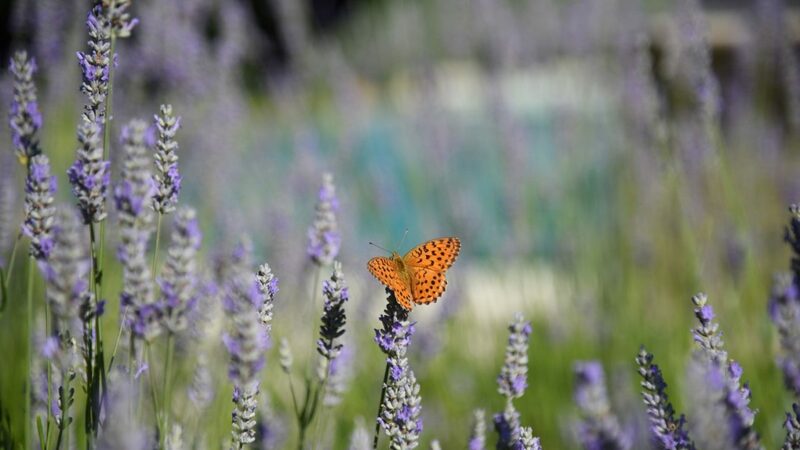 This is quintessential Provence. We’ll be back. What a marvellous time we had. Be it visiting the local produce markets, hiking in the Colorado, visiting the local villages or just lounging by the pool, all was fully enjoyed. Even the tennis court got daily use, and the boys have become experts at petanque. The house is so well-appointed! We had wanted for nothing. Thank you so much and see you again next year. We so enjoyed your exquisite home for the last 2 weeks. The five of us loved coming back here after long days of sightseeing. It felt so much like home. All was wonderful and Sally-Ann, the Property Manager, was always there for us and was so helpful. Thanks again. We all hope to return. Extraordinary! Love this house, love France, and I hate to leave. I was so very happy to enjoy this serene home with my friends. We felt at home and loved having our own place in Provence! Loved the people, the markets the fresh food and the beauty of all the villages. I want to return some future time with the love of my life. My wife and I spent three weeks at Mas des Vignes Folles. 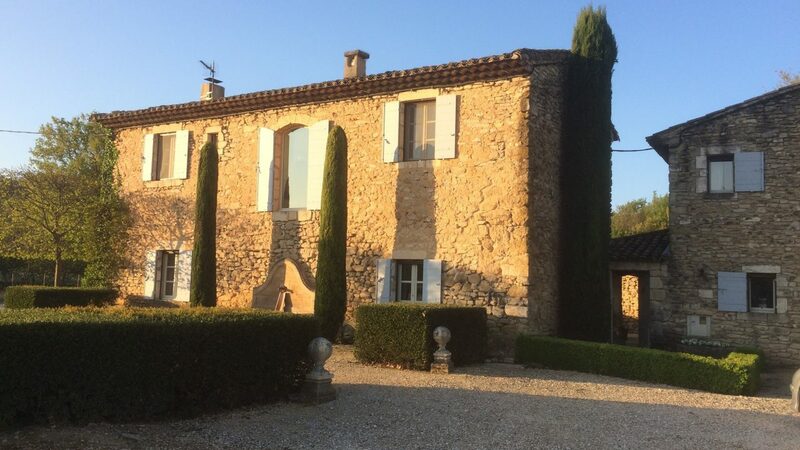 While the update to the baths and kitchen were a number of years ago now, all worked very well and the house has tons of charm – not to mention the best location in the Luberon. The house was very clean (not something you always get), and feels like an authentic French mas – which it is! The kitchen works well for a demanding chef, and the shower in the master bedroom is very good on pressure and there is loads of hot water. The pool area and grounds are fantastic. Peaceful and quiet location. Good wifi and Internet phone. We’ll be back. I cannot say enough about our stay at this lovely old house. It has all the charm of a 200-year old house with all the amenities that you expect in 2014. Everything was perfect: the property manager, was more than helpful to us during our whole stay and gave us great recommendations of places to see. The grounds are amazing and very well kept and the pool setting is to die for. I look forward to staying here again and would highly recommend it to all who are visiting the region. What a wonderful two weeks we have had and such a perfect house for four couples: three from South Africa and one all the way from Australia. The wonderful spaces to suit each mood or weather condition lent themselves to many delicious meals at home using the fabulous produce attained in the local markets, particularly at Coustellet. The tastiest cherries, strawberries, melons, broad beans – where does one stop? Our morning walks up to Bonnieux to fetch fresh baguettes and croissants for breakfast, were invigorating and eased the conscience after many evenings of superb food and wine. We had the most perfect weather, used the pool frequently and wore out the boule court. Thank you. We hope to be back. We had a grand two weeks at your beautiful villa in Bonnieux. The Luberon treated your guests from Florida like royals. The food was fabulous and we loved seeing and picking the poppies. We had grand lunches under your wisteria and candlelight dinners around the courtyard table. The markets were all that we expected – and more. The Sunday market in Isle sur la Sorgue was our favourite, as well as the Friday market in Bonnieux. An unforgettable, wonderful second honeymoon, absolute bliss. A perfect two weeks. Paradise! We painted around the property, explored the many picturesque villages, shopped in markets and returned to your most wonderful house. Milles merci, Mas Vignes Folles est vraiment merveilleuse! Le region est pleine d’histoire et de beaute et nous en avons traite tous. Provence has magnificent scenery, ancient castles, enchanting restaurants and many lovely homes. What makes Mas des Vignes Folles so exceptional is that it is a home. A home of exquisite taste where the fortunate guests are treated as family friends. Delights include the spectacular pool and a wide variety of al fresco dining areas. A quiet professionalism, attention to every detail and the highest standards underpin the totally relaxed comfort. A very special holiday in a home of genuine excellence. 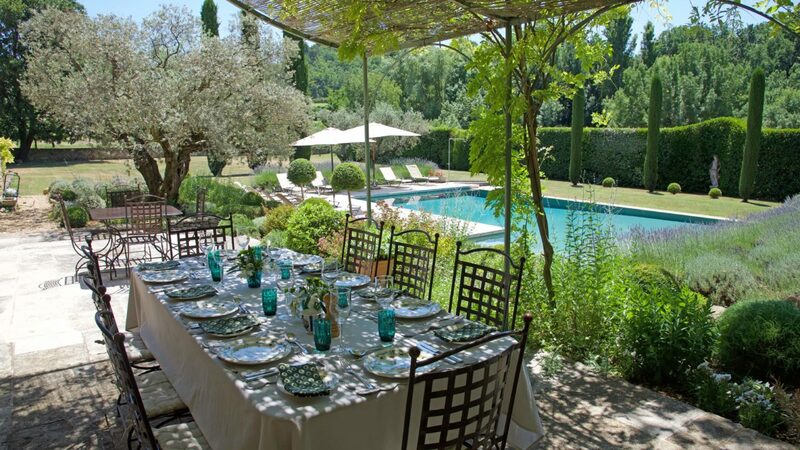 We could not imagine a more perfect way to celebrate our 25th wedding anniversary than staying in this lovely home in Provence. Our group had a wonderful time enjoying the local foods, wines and villages and most especially, staying in this delightful setting. What a wonderful week we have had staying in this incredible house. We all explored Provence and painted, shopped and ate. The house was very comfy. Thank you for sharing your house with us. It is hard to say goodbye. Truly a vacation to remember. We are back from our wonderful stay at Mas des Vignes Folles – thank you for providing a place that was absolutely charming and totally comfortable. You have everything covered and we couldn’t have wanted for anything! Greg and I are totally in love with the area and will certainly return in the future. We have had the most wonderful week ensconced in your beautiful home, surrounded by vines and lavender. What a special place – it has given our family such a special time, one that we will never forget. The African Hoopoe nesting in the courtyard made us feel very at home. Thank you so much. This was the most wonderful two weeks – the region, the people, the adventures, the food, the markets – all truly amazing. Thank you for our memories. Merci pour la semaine tres special! We’ve had the most wonderful time at Mas des Vignes Folles and enjoyed every moment in this beautiful place! Such a peaceful setting to relax and recharge. Your home and property are truly lovely. We really appreciated how welcoming it was and all the special touches. A perfect place to celebrate all our anniversaries. We all look forward to returning one day for another wonderful holiday.